Every spring, bike shops sell scads of saddles to cyclists who come in because their old saddle has become uncomfortable since they stopped cycling in the fall. They went out for a ride or two, and found it much less comfortable than they remembered from the previous year. They've heard about the latest buzzword in saddle gimmicks, and they want one of those! But was it really the new, high-tech saddle...or was it just that the rider had become unaccustomed to cycling over the winter layoff? In many cases, working your way up over the course of a few short rides of gradually increasing length is all that is necessary, if you have a decent-quality saddle, properly adjusted. If you have previously been comfortable on your present saddle, don't be in a hurry to change. You'll notice that I do call them "saddles," not "seats." There is a reason for this. A "seat" is something you sit on, and is designed to bear essentially your entire weight. 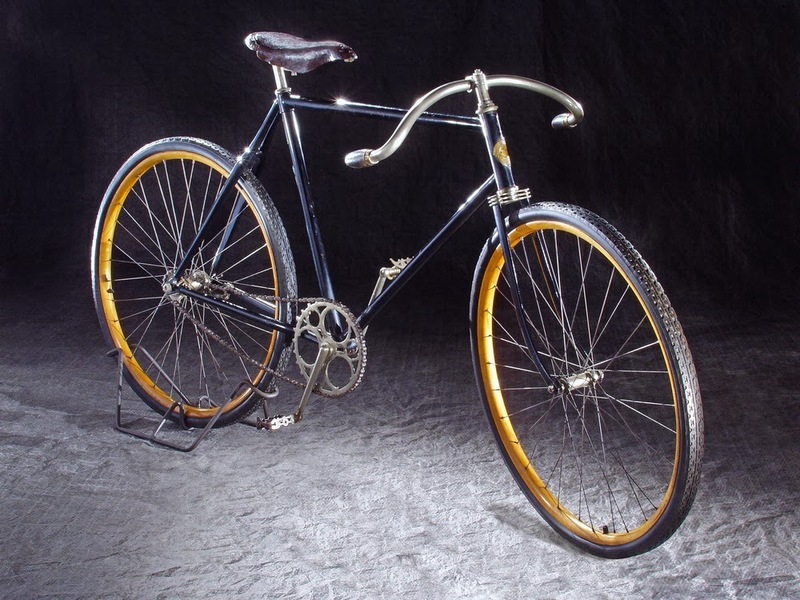 Recumbent bicycles have "seats," but conventional upright bicycles have saddles. 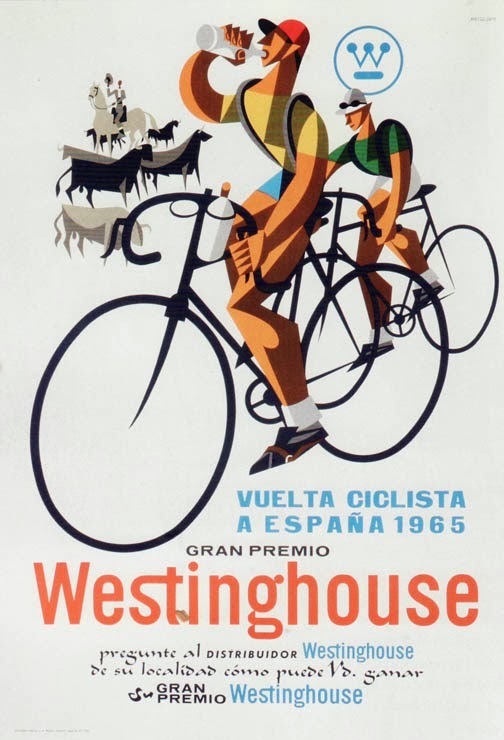 A saddle is intended to carry some, but not all of your weight. The rest of your weight is mainly carried by your legs, and some by your hands and arms. A cyclist who is out of cycling shape from being off a bicycle for a few months or more, will start out strong, but the legs will tire rapidly. When the legs tire, the rider sits harder on the saddle, and that's when the trouble starts. Many saddle complaints are actually traceable to fatigue caused by starting out the season with a longer ride than you are ready for. If it has been several months or more since you rode a bicycle regularly, you can expect to be sore if you ride any serious distance. If you are coming off of a layoff of months or years, start with very short rides, maybe a mile or two, no more. Only gradually should you increase your ride distance. This may seem frustrating, but it does take a while to re-accustom your derrière to cycling. Anybody in decent shape can hop on a bike and ride 15-20 miles, but you'll be a wreck afterwards if you haven't accustomed your body to cycling first. This is not to say that there are not real differences in saddles, nor that you should ride just anything. 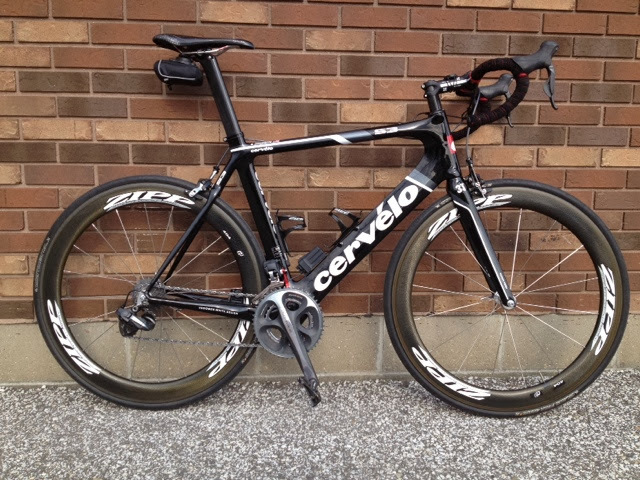 In fact, original-equipment saddles that come with bikes are often greatly inferior to better aftermarket saddles. Austinites don't just party, they celebrate with bicycles to give added value to the city's motto "Let's Keep It Weird." Ira David hails Austin as a bicycle-friendly city when he visits a bicycle zoo and pedals in a bicycle parade. Journey along the Lance Armstrong Bikeway and Trail at Lady Bird Lake. 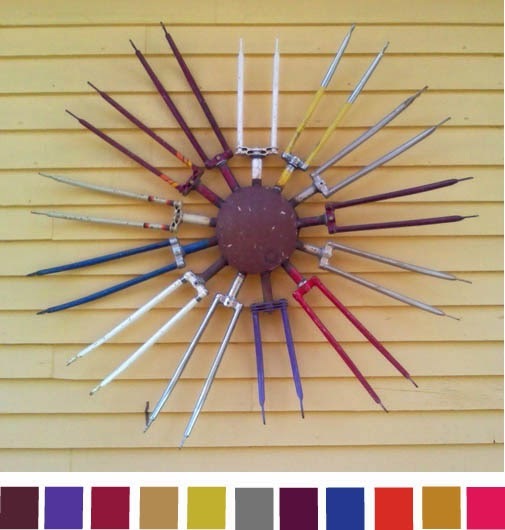 A visit to Austin's Yellow Bike Project teaches the role bicycles can play in giving back to the community. Learn the story of The Allegrippis Trail System at Raystown Lake, Pennsylvania as Ira David introduces mountain biking to beginners while hoping to catch a glimpse of this town's version of the Loch Ness Monster. Ira David tours southern Americana in historic Savannah, Georgia. Pedal around the city's architectural squares and visit The Wormsloe Historic Site, Bonaventure Cemetery, and Mrs. Wilkes Dining Room for authentic southern fare; plus, a look at the city's initiatives that helped to earn itself "bicycle-friendly" status from the League of American Bicyclists. Ira David pedals along The Windy City's magnificent lakefront and downtown neighborhoods to show why Chicago is consistently ranked among the top five bicycling towns in North America. Stops include Museum Campus, Soldier Field, and the Lookingglass Theatre Company. Also, meet one Chicago resident, a former chain smoker and alcoholic, who traded in his liquor bottles for water bottles when he discovered the benefits of bicycling. Ira David addresses the more serious issue of why this now "bicycle-friendlier" city was plagued with bicycle fatalities in 2009 and how the city responded to a create a dramatic increase in tolerance and understanding between cyclists and motor vehicle operators. Patrick Norton installs specialized bike racks on Rick's older Subaru. Rick transports large adaptive bicycles for children and adults with physical disabilities -- but there has to be a better way to make it all fit! Patrick Norton equips Rick's Subaru with everything it needs to help him stay organized. About the Show: Second Chance Subaru follows Patrick Norton as he searches out the owners of high-mileage Subarus and gives their vehicles a custom modification as they enter the next stage of their life. These owners are using their Subarus to give back to the local community and environment -- now it's our turn to give back to them! Do you commute? Do you ride gravel or MTB? 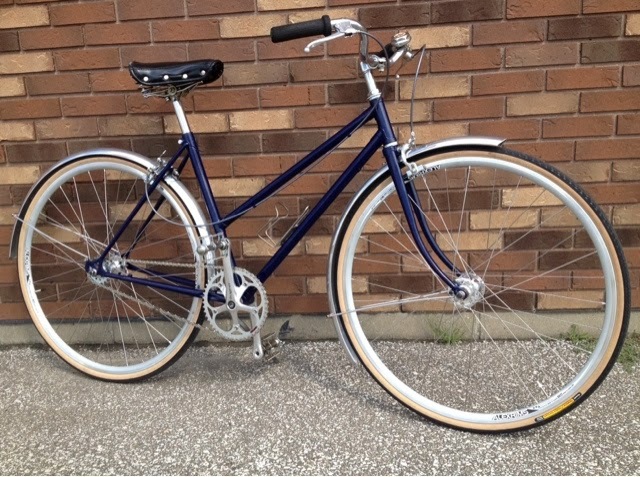 I bet your bike is a mess from all of this winter weather. Give your ride a much needed cleaning and lube. 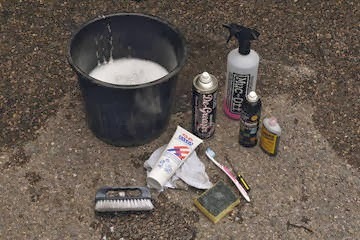 Grab your "Washing-up liquid," and our pals from across the pond at Bike Radar will help you get things tidied. 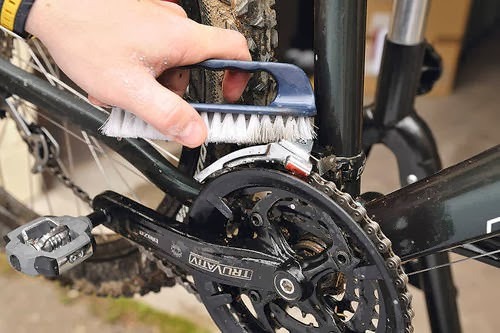 With the chain in the biggest gear, apply the mixture vigorously using a stiff bristle scrubbing brush. You’ll see a bright, shining chain emerge. The best way to apply grease evenly to a cable is to first apply the grease to a clean (lint-free) rag. 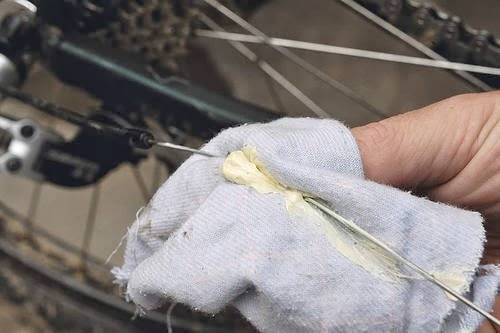 Holding the rag in one hand with the greased section between thumb and forefinger, gently pinch the section of inner cable in the rag and draw it through. Some time back in December on a brutally cold night, I had the good fortune to take one of the Ice Cream Truck (ICT) prototypes for a short spin. It was during that trip to the Twin Cities that Tyler from Surly hatched a plan for former World Bantamweight Pugsley World Champion and Bike Black Ribbon Society Imperial Gnommander, Colin Ford and I to go for a ride, drink some beer and collect some pixels to share of their new bike. That plan came to fruition just yesterday. There was some talk of Tyler and Engineer Designer, Andy Skoglund, coming to Milwaukee to do a photo shoot, but in the end, we met up at QBP in the Twin Cities, just before Q’s big dealer show that they call Frostbike, where the ICT will be officially introduced. We met up at Q-HQ and rode, right from there, down to the River Bottoms. We were joined by one of Surly’s original gangsters David Gray…..just the cat that designed the Pugsley. Colin and Tyler rode brand new production model, Ice Cream Trucks, and Andy, Dave and I rode protos. The ICT is Surly’s first symmetrical fat bike and the hub spacing is 190/197mm centered. (MDS dropouts allow either 197 12mm thru-axle or 190mm QR). The ICT has no problem swallowing Bud and Lou mounted on Clownshoes. This new Surly features a custom steel tube-set and uses a 100mm press fit bottom bracket to allow for wider stays and less bb flex. The ICT has a Krampus inspired front geometry that sets it apart from the Moonlander or Pugsley. It’s a stiffer fat-bike, with a much more playful geometry. We’ll have a more details on the the Ice Cream Truck down the road, so stay tuned. Very exciting bicycling news from Southeast Ohio! The Athens-Belpre Rail Trail is a future multi-use muscle powered trail to be constructed along the former B&O railroad grade in Athens and Washington counties. This trail will be an important piece of the regional rail trail system, eventually connecting the Moonville Rail Trail and Hockhocking-Adena bikeway to the west with the North Bend Rail Trail to the east. The Athens-Belpre Rail Trail Steering Committee is a community organization working to acquire right-of-way along the B&O corridor and promote trail development in cooperation with Athens and Washington County officials. Great to hear that you are interested in promoting the ABRT on your blog. We have a bare bones website at http://athensbelprerailtrail.org/ that gives a cool interactive map of the planned route. We will be starting up workdays again in the spring, hopefully as soon as March. I will post info about these on the FB page, and we can use volunteers to help us continue to clear sections of the trail. Hopefully we will be able to open up some sections this year, maybe hold a couple events to get people out to see the trail and how much potential it has. One of our biggest struggles for the moment is fundraising, there are a number of bridge crossings, culverts, and other improvements needed to make the trail continuous, so of course donations are welcome, and we can always use help searching for sources of grant funding. I recently found out about People for Bikes community grants, so we submitted a proposal to them and should find out soon about that. 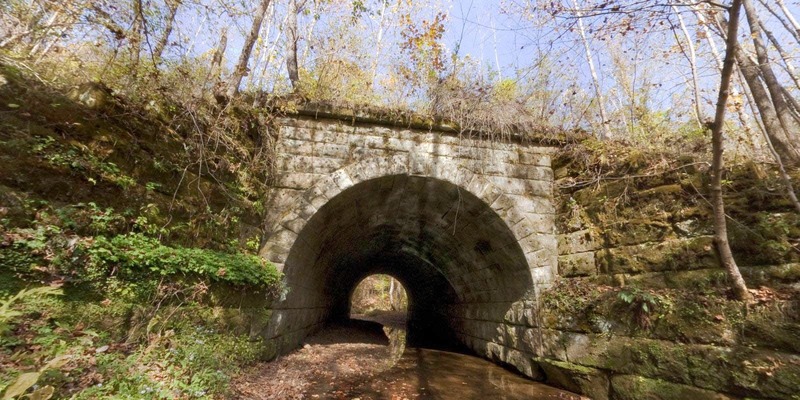 Meetings of the Athens-Belpre Rail-Trail steering committee are the second Wednesday of the month, at 7 pm, in the meeting room at the Soil & Water Conservation Service office in The Plains, OH on 69 S Plains Rd (OH-682). The next meeting will be March 12, 2014. Anyone who really wants to get involved in the nitty gritty is welcome to attend those meetings, I will try to post reminders about that also on the FB page. We do not have membership per se in the Athens-Belpre Rail-Trail Committee, but welcome interested participants. The financial agent for the Rail-Trail, and the organization behind it all, is the Athens Conservancy, which would welcome memberships and donations! Back to Earth Two from El Zumpango on Vimeo. If I learned anything over the course of 2013, it’s that I can survive on a steady diet of eating crow. 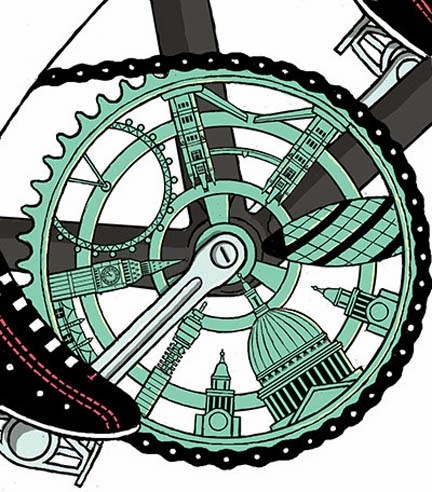 Like a great many stubborn cyclists, I held the belief that the fat bike was nothing more than a passing fad, a cheeky novelty, a diversion from real riding. I even held a certain amount of derision for these silly looking bikes with their bloated hoops and grinning owners always quick to say, “dude, you have to try this.” I certainly didn’t think the fat bike had any relevance in the world of adventure cycling. After committing to my own fat bike and reading endless accounts of them doing amazing things around the globe, I came to realize––I was so very wrong about the fat bike. After mulling over dozens of candidates for our Bike of the Year award, I kept coming back to bike that started the whole fat bike craze, the Surly Pugsley. For those who have never ridden a fat bike, and I mean really ridden one, it’s all too easy to just assume they’re slow and only appropriate for sand and snow. This is wholly untrue. While they do eat up those conditions, they’re curiously swift in all other riding scenarios. I’ve even knocked down huge tracks on pavement and gravel, the buzz of the tires an audible confirmation that if I keep churning the cranks, it’ll trundle onward undaunted. It’s illegal - The law in most areas of the country require bicycles to follow the same rules of the road as other motor vehicles. In essence, riding your bike down the sidewalk is the same as if you hopped the curb and started rolling it in your car. While those of us who drive to and from work have been stuck in slushy stop-and-go traffic for much of this winter, Keith Mayton has cruised with little other company on his morning and afternoon commutes. The federal-court clerk rides on studded bicycle tires each morning, no matter the weather, from Worthington to Downtown on the Olentangy Trail. Not that the trail has been sloppy. “You can pretty much ride through it,” he said. That’s because Metro Parks quickly clears 38 miles of paved paths after every snow accumulation, said Larry Peck, the system’s deputy director. Continue reading at the Columbus Dispatch. The former Talking Heads frontman discusses his passion for bicycles and what he thinks New York City should do to become more bike friendly. This concept bike--meant to “act as a critique of many widely accepted conventions within the cyclist culture"--looks nothing like any bike you’ve ever seen before. A typical electric bicycle tries to hide the motor inside. Some have clunky, bulky frames, and some, like the new Faraday Porteur, manage to disguise all of the gadgetry so the bike looks as much like a classic ride as possible. And then there are ideas like this one: The INgSOC concept bike looks nothing like any bike you’ve ever seen before. The bike, originally designed a few years ago by Edward Kim, Benny Cemoli, and Stephan Mora, was never intended to be made. Kim compares it to a concept car that's not ready for the real world. Instead, it was meant to get people thinking. “It attempts to give a glimpse into the future of bicycle design and technology by choosing to let go of many aspects of practicality for the sake of expressing an idea,” he says. A bike locked to a "sucker pole" in Lincoln Park is easy pickings, especially since the front tire is not locked. It was as easy as lifting a tow zone sign right out of its base, slipping the U-lock off the metal pole and riding off with the lock still attached to the frame of the bike. Couldn't have been more than 10 seconds. "He had the pole in his hand when I saw him, and he had it up in the air," said Kathy McInerney, a 24-year-old Lincoln Park resident. "He threw it back down into the [base], and he just hopped right on [the bike and went] down Lill." McInerney called the cops and gave them a description of the hooded thief, but he was long gone. 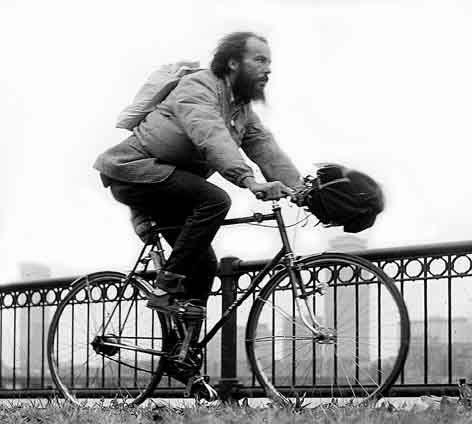 The bike was attached to a "sucker pole," according to Howard Kaplan, founder of the Chicago Stolen Bike Registry. Thieves will remove the bolts that secure street sign poles to their bases, allowing them to easily lift the poles out of the base later. Unsuspecting riders don't notice the missing bolts, and lock their bikes to the poles, falsely thinking they'll be secure. A 17-year-old and his mother who was struck by a van while bicycling speak out on Feb. 14, 2014, after Suffolk Legis. Thomas Barraga responded to the teen's letter, saying he doesn't believe anyone should ride a bicycle or motorcycle in the county. Balancing the bicycle without riding off the rollers is an extra challenge for the rider and requires much more balance and attention than bicycle trainers. 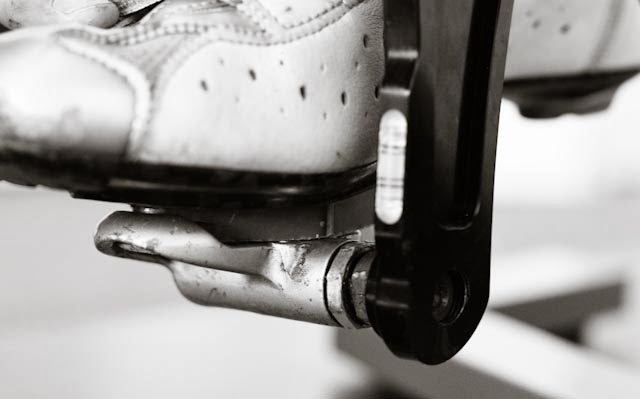 Some cyclists find that this increased attention to balance enhances their workout, while other cyclists simply prefer the more stable trainers. Rollers are also used by bicycle racers to finely tune their balance, a skill needed for drafting and the close quarters of a peloton during races. Novice cyclists often start by placing the bicycle rollers in a hallway or door frame where there is a nearby wall for support in the case of a fall. Removing any sharp and dangerous objects from the area is a must and a helmet is often worn, even though the user might be indoors. Beginners quickly discover that it is easier to maintain one's balance by focusing on a point a few yards ahead rather than looking directly down at the front wheel. In addition, it is easier to stay on the rollers in a higher gear when the wheels are spinning faster. Also, the user has no forward momentum while on bicycle rollers, which drastically reduces the possibility of injury in the event of a loss of balance or a fall. Hunting for Monsters (trailer) from Bjørn on Vimeo.